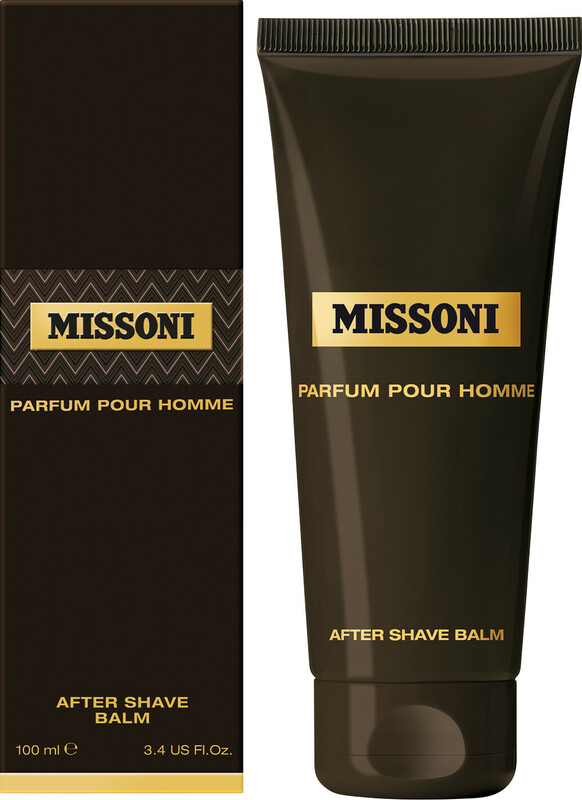 Add style and sophistication to your shaving ritual with the Missoni Pour Homme After Shave Balm, a skin-soothing moisturiser that is infused with the woody aromatic fragrance notes from the Missoni Pour Homme fragrance. Stimulating and soothing, this gentle after shave balm hydrates and calms even the most delicate skin with its ultra nourishing formula that improves the texture and softness of skin. Enriched with the uplifting fragrance notes of lemon to invigorate and lavender to refresh your skin and senses, this essential hydrator will boost and enhance the scent longevity of your favourite Missoni Pour Homme fragrance. After shaving, massage onto the face and neck.